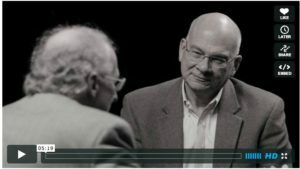 Jason & I watched this little video recently of Tim Keller, John Piper, & Don Carson and there was so much good in it that I had to share it with you. Even if you wouldn’t call yourself a Christian or religious, I think you’d like this. I found the concept that my husband will be married to at least 5 different versions of me over the course of our marriage to be so true! For better and for worse, I change. During my first year of motherhood, I was a very different person than the girl he married. I was very emotionally unsteady. I was physically exhausted. I felt spiritually abandoned and angry. I’m so glad he based our marriage at that time on his promise and not on his feelings! I appreciate Tim Keller’s reference to Lewis Smedes’ article about being married to 5 different people over the course of a lifetime. I can imagine that some people feel that it’s even more than that! The concept encompasses all the changes that will happen over a lifetime, and they SHOULD happen in most circumstances. In the end, it interests me to read Lewis Smedes. I totally agree; that’s a great thought. There are a lot of days when I’m not who I thought I was! And, when it comes right down to it, I honestly hope to change continually to be a better wife, mom, friend, person, so that ideally my husband will be married to a large variety of [better and better] “me”s by the time death does us part. This was really insightful and encouraging, Joce. thanks for sharing!